Curling practice held at the Truro Curling Club on Sunday 4:00 to 5:15pm. 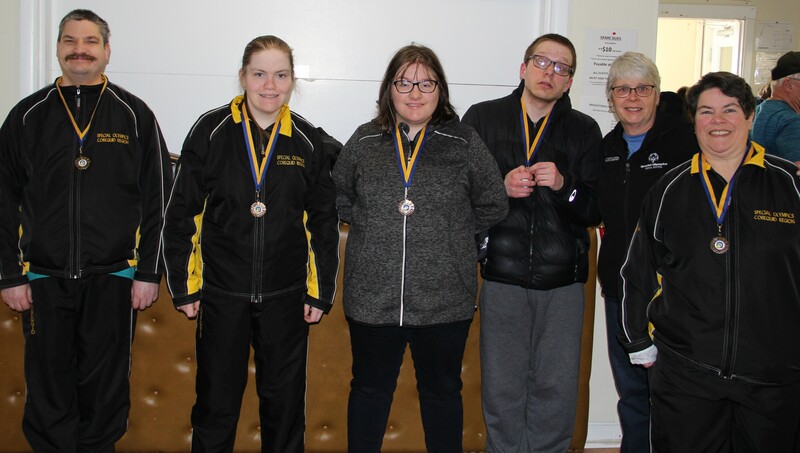 The sport of curling was demonstrated in Ottawa at the Special Olympic Canada Winter Games in January 2000, and hosted for the first time at a Special Olympics Nova Scotia Winter Games in February 2002. This competition was hosted at 14 Wing Greenwood, where 8 teams from across the Province and our guests from Prince Edward Island put on a performance which should lead to continued growth of the sport, and hopefully representation from Nova Scotia at the 2004 National Games. Special Olympics Canada Curling Rules follow very closely to the rules governing generic curling, and these are outlined below. As with all Special Olmpic sports, we strongly encourage our coaches to obtain NCCP Certification, and strive to deliver the best quality in sport programs.